Deborah Ryan is the Chief Clinical Officer at Regional Hospice and Palliative Care, providing oversight for all the clinical aspects of the agency. She joined the staff in 1992 fulfilling the positions of Social Work Case Manager, followed by Director of Counseling Services, then Vice President of Clinical Operations. Ms. Ryan has 30+ years of experience providing individual and group counseling for children and adults with chronic and/or life-limiting illnesses, 11 of which were at Hospital for Special Surgery in Manhattan in the role of Psychosocial Case Manager. In addition, Deborah was a field instructor for several universities for master level social workers. This vast background was the catalyst for the vision of a regional family bereavement center – Healing Hearts Center for Grieving Children and Families. Deborah received a master’s degree in social sciences and a Bachelor of Arts degree, both from Fordham University. 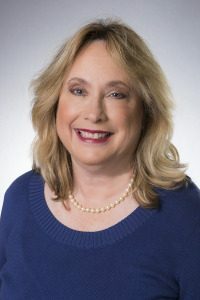 She is a Licensed Clinical Social Worker and Advanced Certified Hospice and Palliative Social Worker possessing over 30 years of experience working in the healthcare field, the last 23 years of which have been in hospice care. She provides invaluable expertise working with individuals and families who are struggling with illness, loss, bereavement and the challenges of caregiving. In addition, she understands the agency infrastructure needed in order to support clinicians working in the challenging field of hospice care.